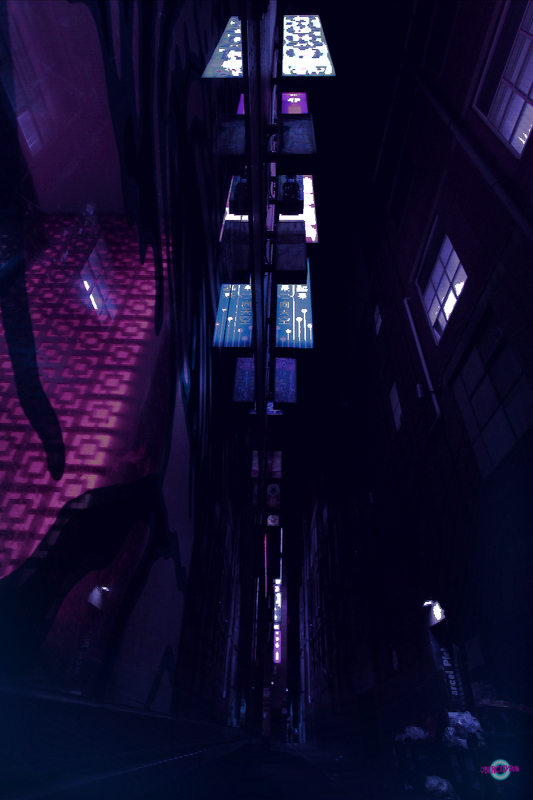 On my travel around this weird planet I decided to stay in Melbourne for a bit and to discover what cyberpunk beauty it had to offer. 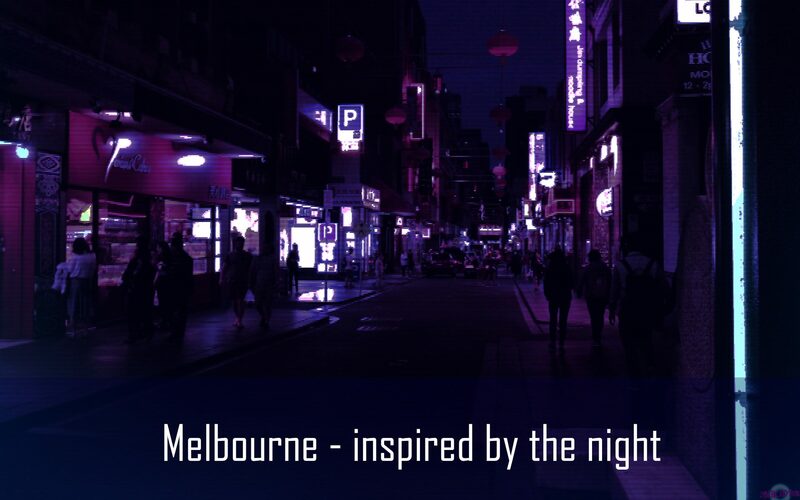 I followed two artists from Melbourne for quite a while and really liked their work – inspired by the city at night. 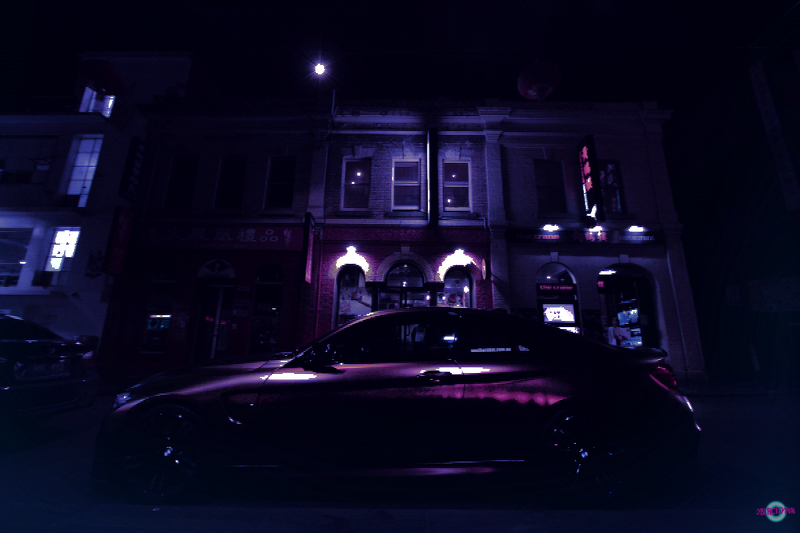 See some of the results of my photoshoots and read on for recommendations for photospots in Melbourne at night! I created a google map, where I will put all the spots I visit on my travels and you are welcome to contact me if you want to add a place and be mentioned. Let’s travel the night together. 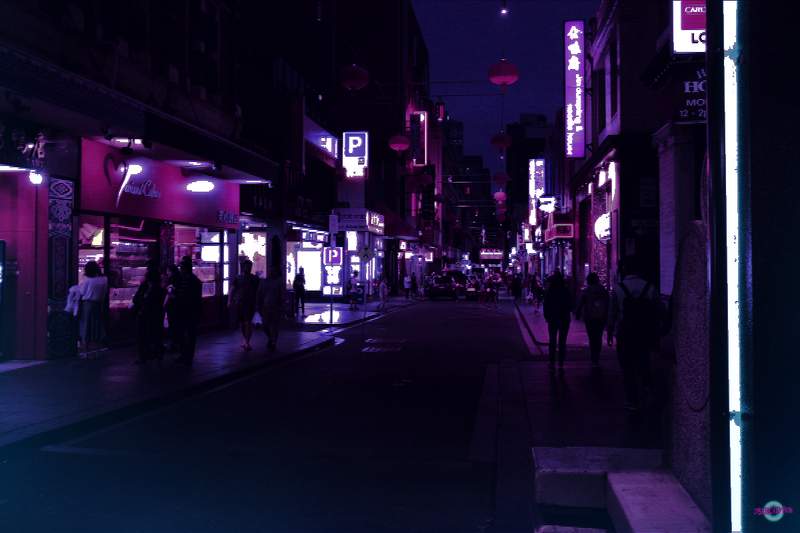 The number one place to shoot in Melbourne if you are into cyberpunk and neon is definitely Chinatown – what else? 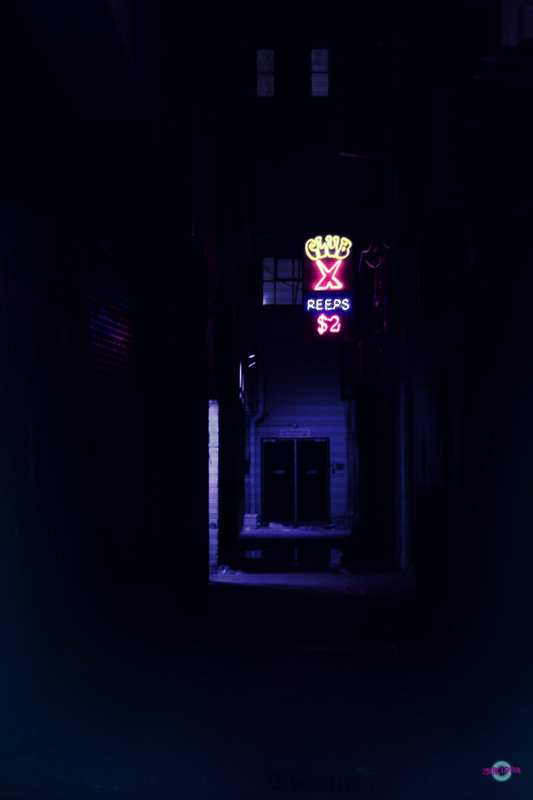 At night, Little Bourke Street turns into the perfect setting for photoshoots. Right in front of the Exford Hotel is a parking garage that looks very creepy, but it is worth to go upstairs and have a shot of Chinatown from above! From this garage you also have a wonderful view on the skyscrapers on Elizabeth street. During the same shoot, we also went to the Gardens near Flinders Station, opposite the theatre. There is a tiny venue near the road that lights up in bright neon colors at night, you just cannot miss it! It has some industrial style fences and very good lights. Don’t ever hesitate to enter a parking garage and head to the top. Most of them don’t have cameras and if they have, somebody will just ask you to leave if you take pictures. No risk, no fun! 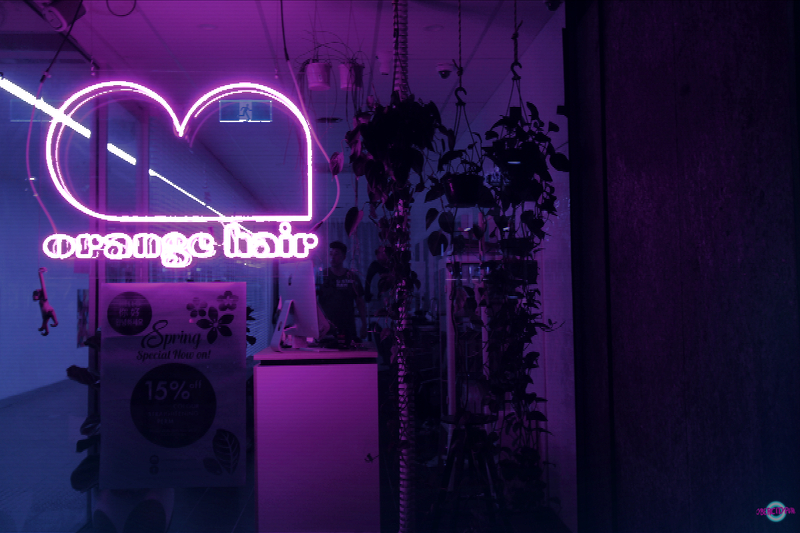 Today on the neon aesthetics artists interviews, I want to present to you Kitt, known as 180.kg on Instagram, a talented photographer and digital artist from NYC. 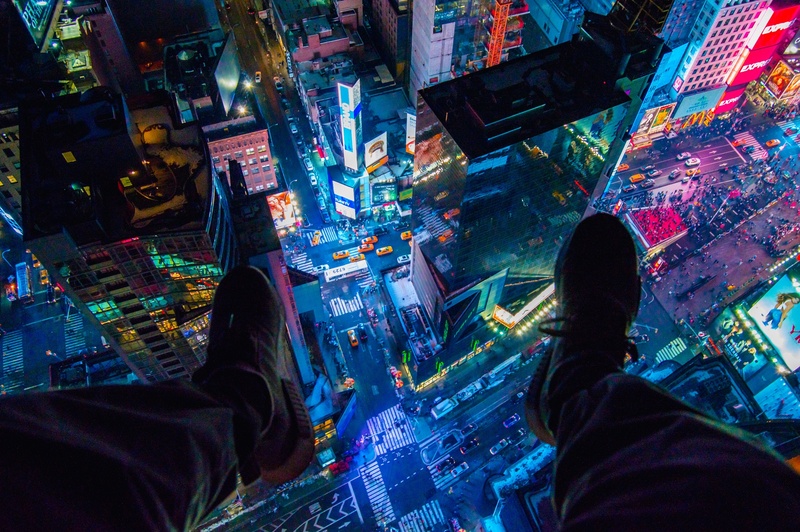 In his pictures he takes us on top of skyscrapers and to other stunning places that we normally wouldn’t get to see. We should say thanks for risking his life for our pleasure and entertainment! 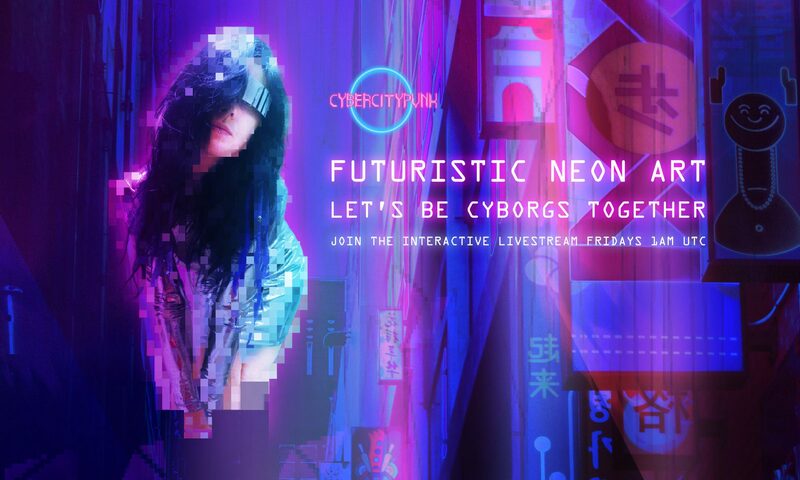 I like to imagine futurisctic cities in neon colors and that’s how I found 180.kg on Instagram, probably through searching for #cyberpunk #ghostintheshell or #futurescapes. His shot “Life on the edge”, just amazed me. I thought, you had to get to know him! Tell us about yourself: How did you come up with your username and how did you find your way to city photography? There’s a certain energy to New York City that I can’t really describe. I always feel inspired there. During the day its very chaotic, but at night it shows a different side. 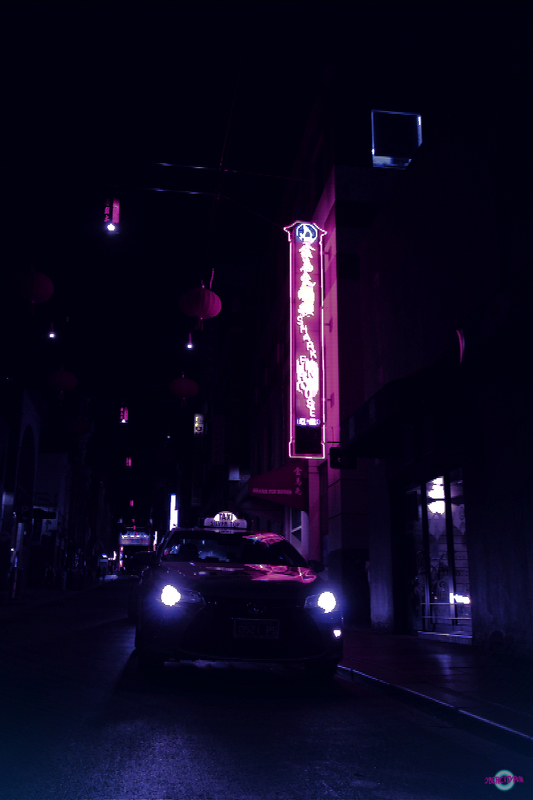 I like exploring the city at nighttime and trying to find interesting places. The city lights, the empty streets, the massive infrastructure. It may be easy to get overwhelmed during the day, but I’m in a very relaxed and creative mood when I’m there at night with my camera. My city work is really about capturing that mood. Finding peace in the city that never sleeps. As for my name, its pretty simple. “180” is the number I was given when I joined my college fraternity. I’m the 180th member of the chapter. “KG” is my first two initials. The period in the middle is so bodybuilders would stop tagging me in their pictures when they squat 10 reps @180kg. Do you find yourself in dangerous situations while shooting? Tell us about the weirdest one. I like to take pictures of places that most people don’t get to see. That pursuit has brought me to a lot of places that you could describe as dangerous. Abandoned buildings, rooftops, shady neighborhoods. The scariest for me would be when I went to a rooftop above Times Square. I sat on the edge of a 46 story building to take a picture looking down. 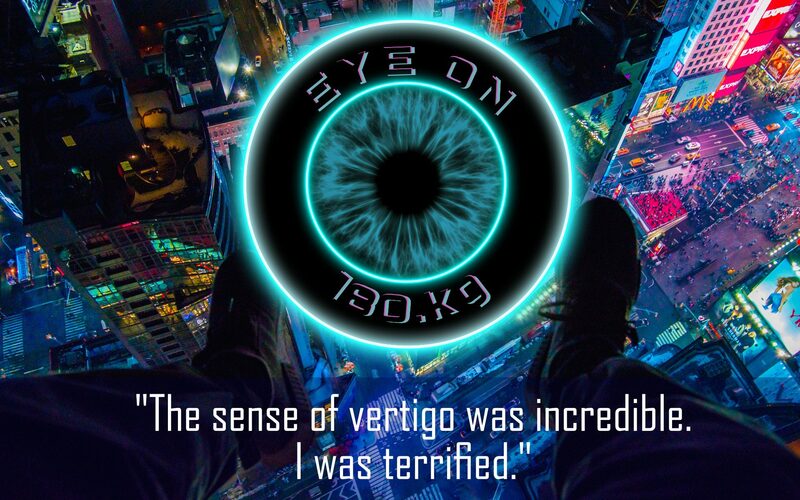 The sense of vertigo was incredible. I was terrified. But I was committed to getting that picture. I’m really glad I overcame that fear, because that is one of my favorite pictures I’ve ever taken. What’s your favourite (retro)futuristic vision of a city in a movie? I don’t think I can name just one. Akira, Batman Beyond, and Ghost in the Shell have all been direct inspirations for my work. The limited color palettes that they use to illustrate those future cities are just so beautiful to me. There’s this one scene in the beginning of Akira where the protagonist’s biker gang races down this highway and the whole city is framed in the background. 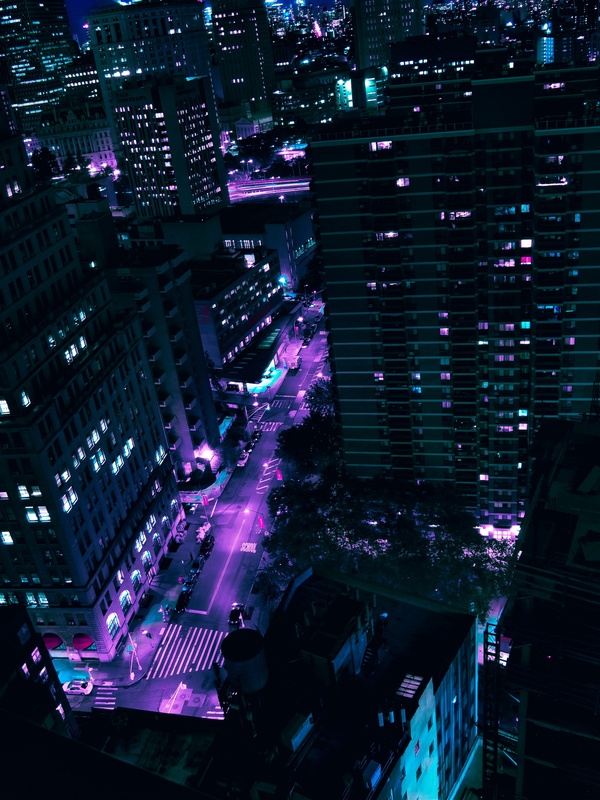 The red of the motorcycles’ taillights streak down the road against the backdrop of a skyline that is purple, blue and green. Its just stunning to watch, and it has inspired my work as a photographer. 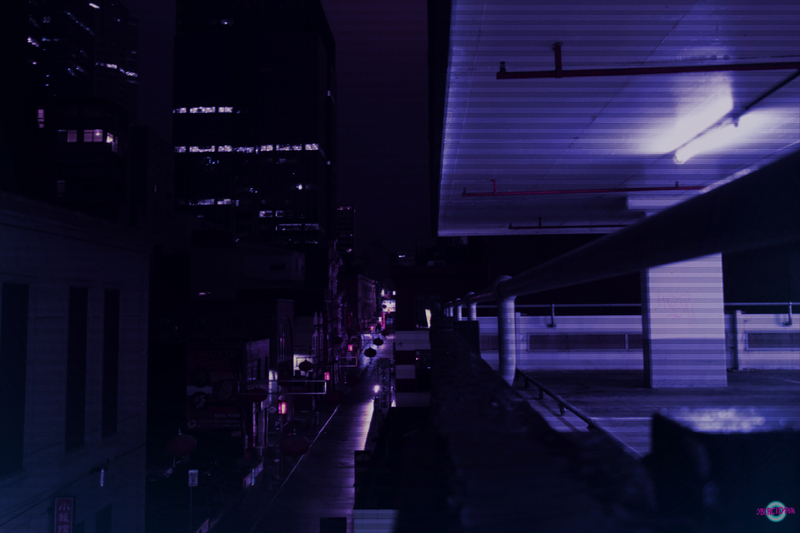 In some of my skyline photos, I try to capture the vibes from Neotokyo and paint Manhattan with them. If you could travel in time, where and when would you travel to and who would you like to meet? I would travel into the future, 100 years. 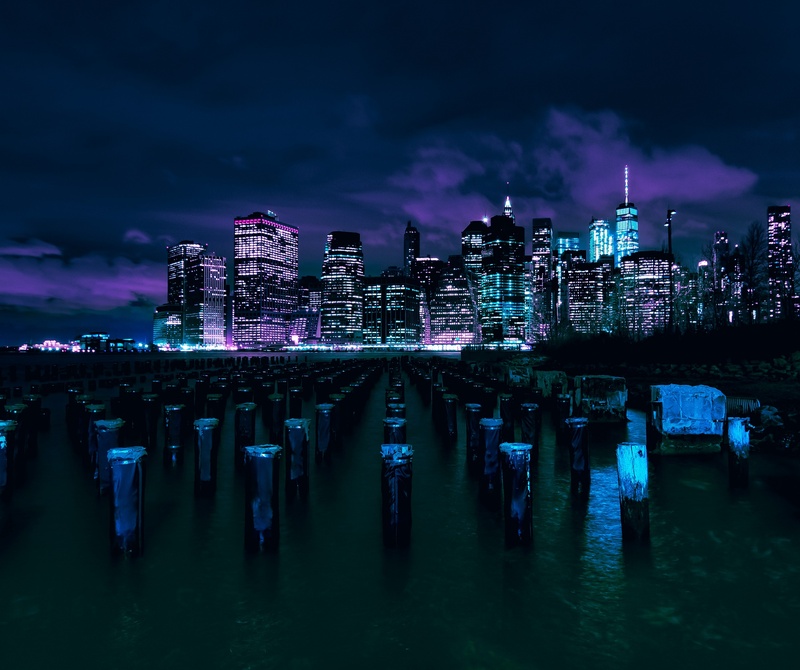 I would love to see NYC in “the future”. Since a lot of my work in the past few months has been all about making NYC seem futuristic, of course I would love to see how it actually looks a century from now. 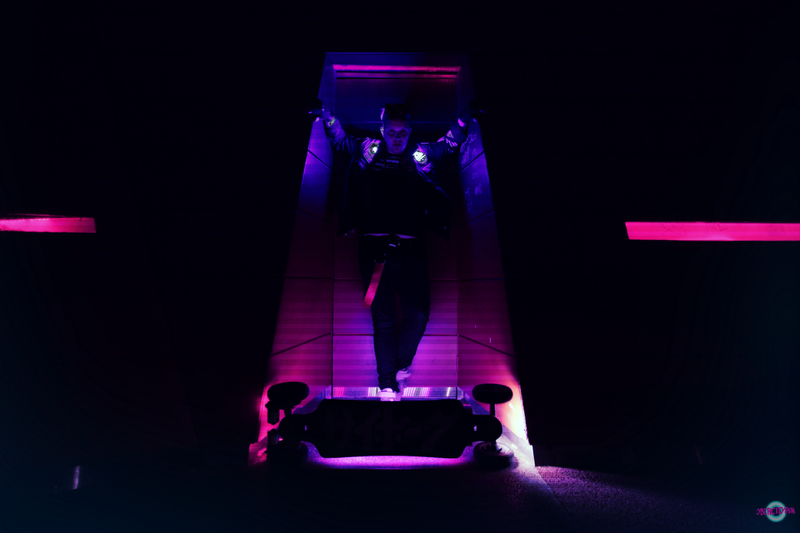 Who would take for a ride on your Tronbike? The Major from Ghost in the Shell, of course. I am currently shooting with a Nikon D3200. I usually shoot at nighttime so I am constantly carrying a tripod with me. For lenses, my favorite right now is the Sigma 10-20mm ultrawide lens. I picked it up because I have been doing a lot of rooftop shoots lately and the wide angle really exaggerates the perspective. Which social media platform is your favourite to showcase your art and why? My favorite has to be Instagram because I have met so many cool people (including you) through it. It makes it easy to find other people who have a similar artistic style and inspirations. I have pretty much stopped using all other social networks in favor of Instagram. It allows me to express myself in a way I never could on Facebook or Twitter. Name three bands that you love to listen to while creating. 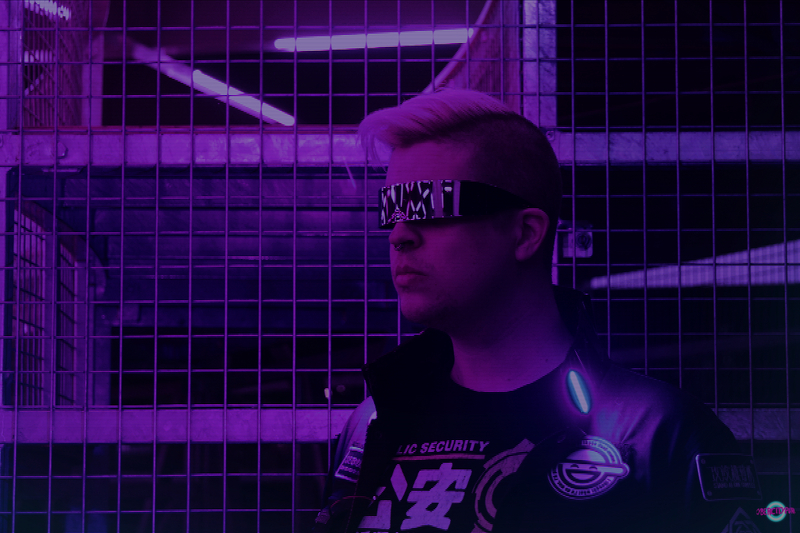 When I’m doing futuristic edits I like to listen to Wavepool and Vaporwave music. 2814, HKE, and ANUBIS-XIII are some of my favorites at the moment. Which artist(s) do you want us to get to know better? Some of the people who inspire me are Yoshito Hasaka (@_f7), Jennifer Bin (@jenniferbin) and Liam Wong (@liamwon9). They are all photographers who have a similar passion for future aesthetics. Don’t miss the next interview and subscribe to my newsletter.